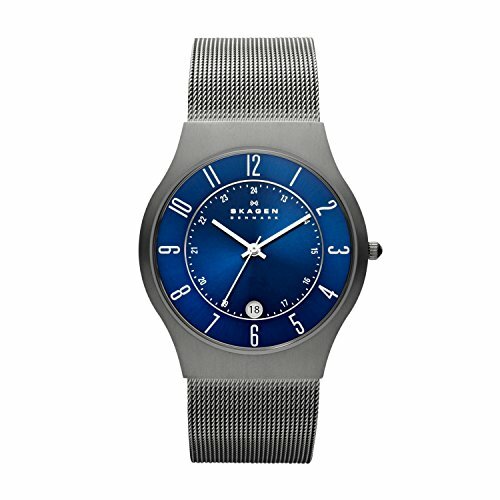 This 40mm Melbye features a matte dial with three-hand movement. Numerals are at the 12 o'clock and 6 o'clock positions while linear indexes mark each hour. 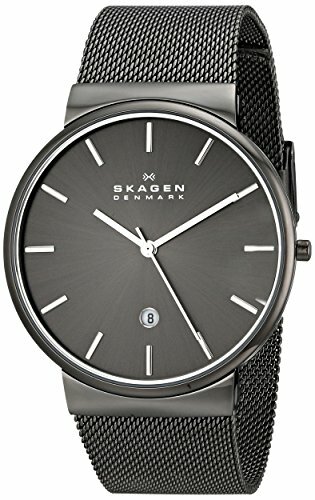 An inner ring of numerals keeps track of seconds and a unique rectangular display shows the day and date. It is finished with a 28mm steel-mesh strap. 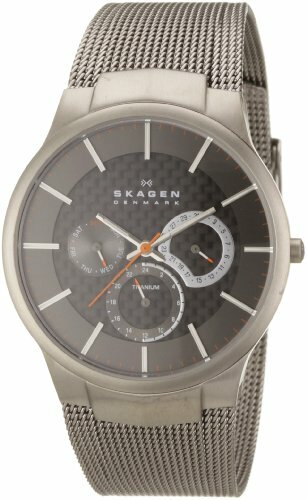 Watch strap is not interchangeable. 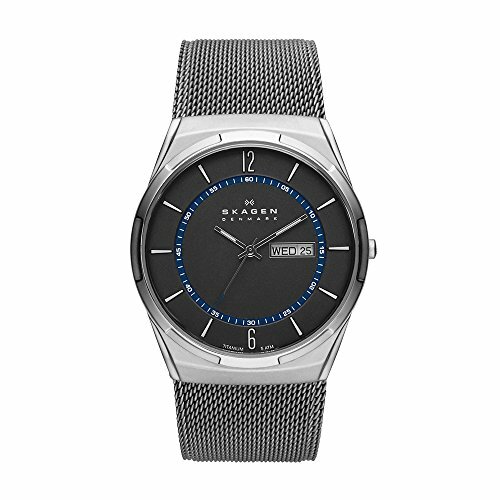 Presenting a classic design fused with fresh details, this Skagen Men's Titanium Watch features a dramatic black dial face, which is encased by a mineral dial window for extra protection. For your time-telling convenience, white Arabic numerals bring a stand-out contrast, an additional ring of Arabic numerals provide a 24-hour clock, and a handy date calendar rests at the six o'clock position. 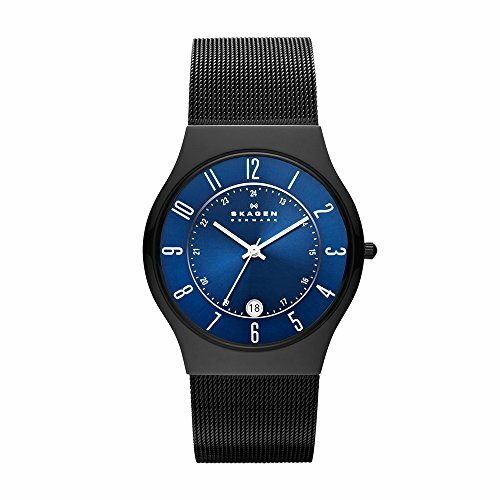 A black titanium band comes equipped with a sturdy fold-over-clasp-with-safety closure, and both the bezel and 37-millimeter case are made of ultra-durable titanium. 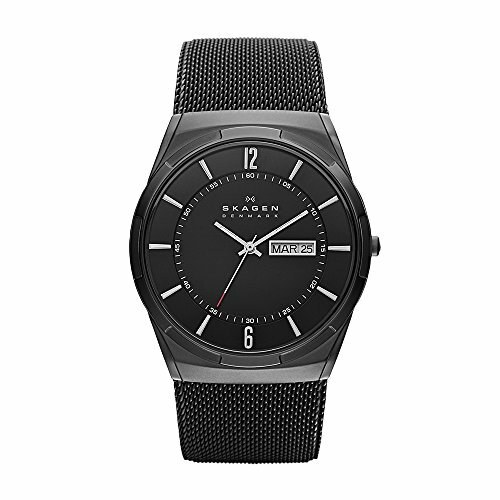 The perfect accessory for work or for play, this striking timepiece showcases your refined taste. 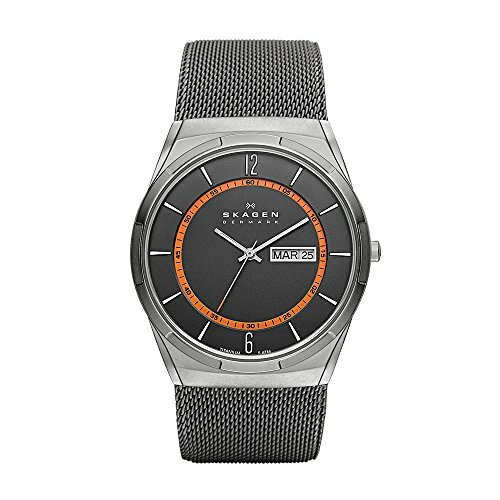 Powered by Japanese quartz movement, this watch is water resistant up to 99 feet and is protected by a limited-lifetime manufacturer's warranty. This 40mm Ancher features a sunray dial with linear indexes, a date window at the 6 o'clock position and three-hand movement. 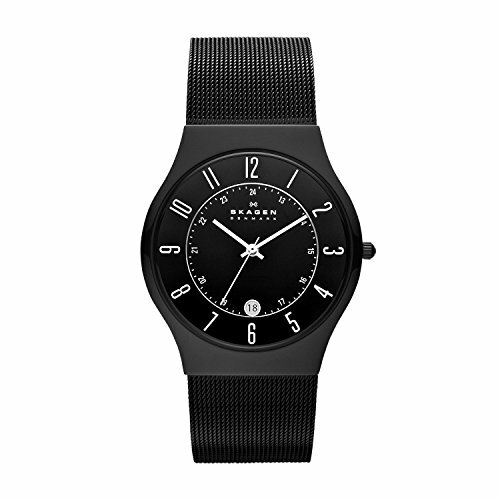 It is finished with a 22mm steel-mesh strap. 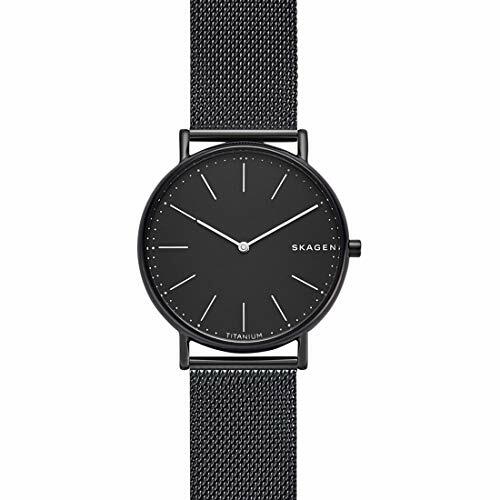 Interchangeable straps available. Check size requirements.